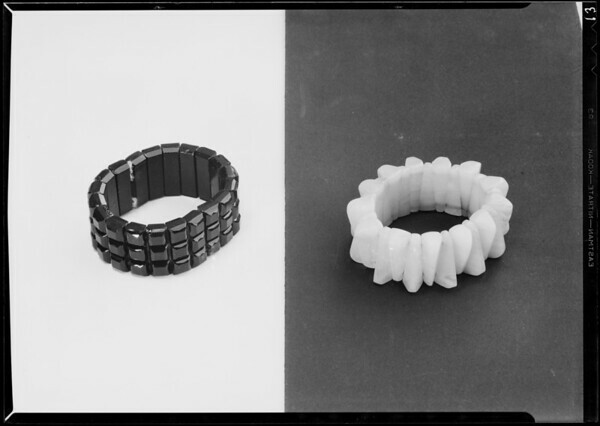 15 photographs of jewelry, trays, and decorative arts, Southern California, 1930. "Subject: costume jiwelry[sic] etc. 193019413DW19301028194DW1930102819413JewelryDecorative artsClocks and watchesTablewareRobinson J.W.